Auto-Feed System: Paper stacks of up to 150 sheets can be placed into the feeding compartment of the innovative Auto-Feed system for automatic shredding. Control panel with LEDs: Easy operation via push buttons for forward/stop/reverse. LEDs indicate the operational status of the shredder. Separate cutting unit for CDs/DVDs: Separate feed opening for shredding CDs/DVDs or plastic cards with a special cutting head. A separate bin allows easy waste separation. 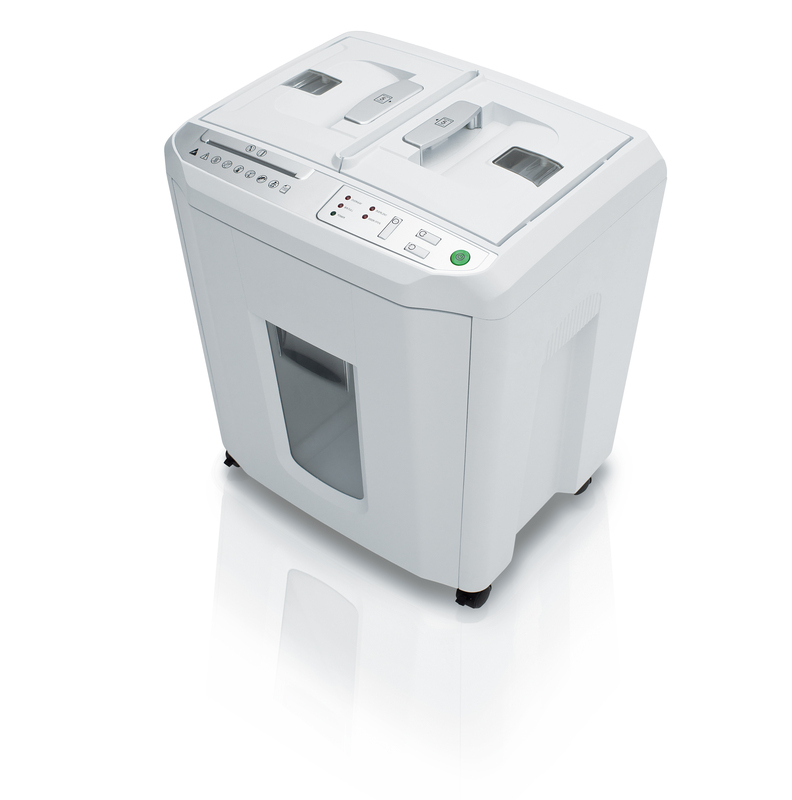 Practical shred bin: With window showing fill level and automatic stop if the shred bin is full or removed from the shredder housing. Mobile on swivel castors: The shredder is mounted on four swivel castors (two with brakes) which provide mobility.